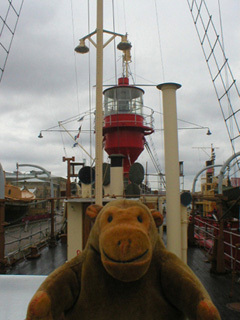 "It'd be better if they switched the light on"
Mr Monkey jumped aboard Lightship Number 29, which has Fladen in big letters along its side because that's where it was stationed when it was decommissioned in 1969. 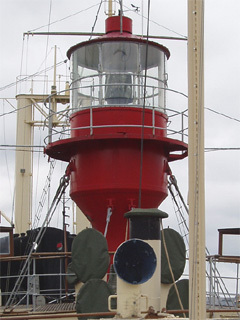 Before that it was at Ölandsrev from 1919 to 1952, and Hävringe until 1967. 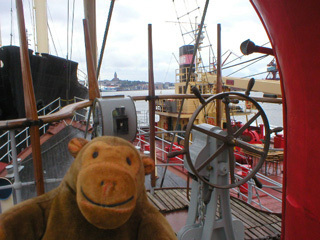 Mr Monkey scampered up and down its 32.8 metre deck, complained that he couldn't get up to the light, and went onto the rather open bridge to examine the small wheel.